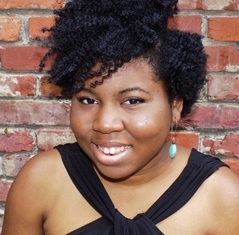 Alabama poet Ashley M. Jones will receive a 2015 Rona Jaffe Foundation Writers’ Award, given annually to six women writers who demonstrate excellence and promise in the early stages of their careers. Celebrating its 21st year, the Rona Jaffe Awards have helped many women build successful writing careers by offering encouragement and financial support at a critical time. The Awards are $30,000 each and will be presented to the six recipients on September 17, 2015, in New York City. Jones received her B.A. from the University of Alabama at Birmingham, and her M.F.A. from Florida International University. Her poems have appeared in pluck! The Journal of Affrilachian Arts & Culture and PMS poemmemoirstory, among others. Jones is currently working as a Creative Writing faculty member at the Alabama School of Fine Arts. She will use her Writers’ Award to devote her attention to finishing her first book and engaging in creative writing outreach in the Birmingham community. Celebrated novelist Rona Jaffe (1931-2005) established The Rona Jaffe Foundation Writers’ Awards program in 1995. It is the only national literary awards program of its kind dedicated to supporting women writers exclusively. Since the program began, the Foundation has awarded more than $2 million to emergent women writers, including several who have gone on to critical acclaim, such as Elif Batuman, Eula Biss, Lan Samantha Chang, Rivka Galchen, Aryn Kyle, Rebecca Lee, ZZ Packer, Sharifa Rhodes-Pitts, Tracy K. Smith, Mary Szybist, and Tiphanie Yanique.